A 20-year-old woman charged with killing her mother may have beaten her to death because of her strict parenting, police believe. Simona Zafirovska was arrested and charged with murder on Thursday after voluntarily speaking with police about the death of her 56-year-old mother Radica. Officers are now working on the theory that Simona bludgeoned her mother to death because of her traditional Macedonian upbringing, The Courier-Mail reported. While it is not known exactly what traditions Radica adhered to, the majority of Macedonians are Orthodox Christians. Orthodox culture often places restrictions upon where children can go and with whom, with respect for parental authority being paramount. Radica's body was found in her upstairs bedroom inside the family home last Friday after Simona called officers around 7am. The alleged murder weapon, believed to be a piece of wood, was discovered inside the home. Simona was questioned at the time, but released to stay with friends while officers continued to investigate the property. On Thursday afternoon she was asked to attend a police station for another interview and went along voluntarily, before being arrested. The handcuffed teaching student looked upset as she was escorted from the station to a police car by detectives. The women were quiet and kept to themselves, neighbours told reporters. Simona's biological father died five years ago, after which mother Radica remarried. Her current husband works overseas. 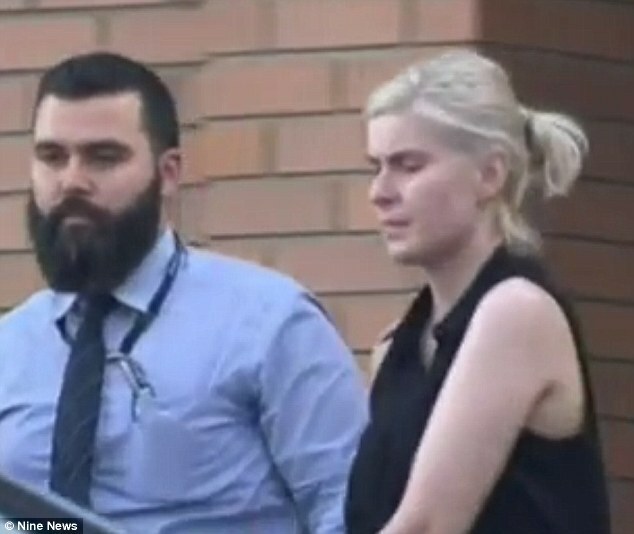 Zafirovska appeared before Brisbane Magistrates Court on Friday and her lawyer, Neil Lawler, told reporters his client was 'distraught' and would undergo a mental health assessment. Mr Lawler said Zafirovska, who was studying at university and also worked as a cleaner, would likely make an application for bail at a later date. The case was adjourned to November 28.